borderline europe - menschenrechte ohne grenzen e.v. Brücken statt Mauern – Strategien gegen die Stigmatisierung von Geflüchteten | borderline europe - menschenrechte ohne grenzen e.v. 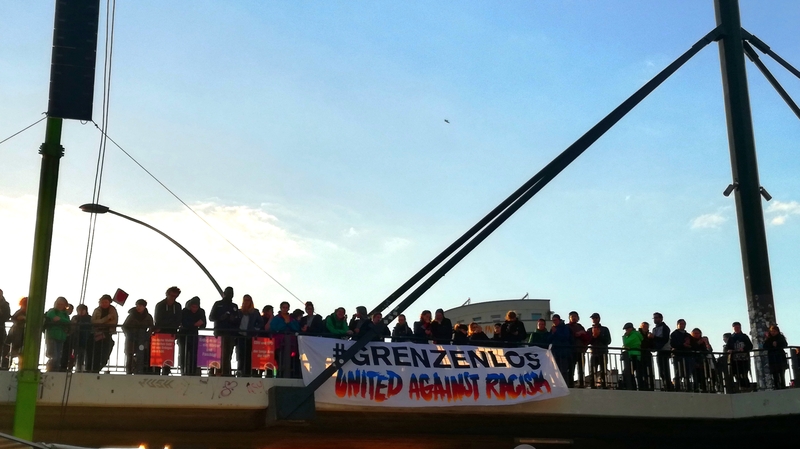 The aim of the project 'Bridges instead of walls – strategies against the stigmatisation of refugees' is to engage against discrimination based on origin and to stand together in solidarity. The project is realised in the period from October 2017 to March 2019 in cooperation of the partners Borderline Sicilia in Italy, Asyl in Not in Austria and borderline-europe e.V. in Germany. Also, Borderline Lesvos is involved in the project work to a smaller extent. During the summer of 2015, European civil society welcomed displaced persons with impressive expressions of compassion and solidarity. By now, the so-called 'welcoming culture' has been replaced by a racist public discourse. Right-wing populist groups, demonstrations and violent actions contribute to creating a climate of resentment and anxiety. On the one hand, hateful messages are used to construct a picture of the dangerous 'stranger'. On the other hand, this sentiment leads to an actual threat of physical assault and racial hostility towards people who are perceived as belonging to an 'other'community. The BsM project aims to oppose these discourses of hatred and fear with a different perspective and to inform about the actual living conditions of people with flight experience. Therefore, the organizations involved work closely with local migrant groups and neighborhood initiatives that do anti-discrimination work. The representation of migrants and refugees in public media is one of the main focuses of borderline-europe in this project. It will be critically examined to what extent the current reporting on people with flight experience contributes to racism and violence. Furthermore, we are aiming to improve the accessibility of issues such as everyday racism, institutionalized racism and freedom of movement for the general civil society. All participating organisations will conduct three to four events respectively in Italy, in Austria and in Germany. The topics mentioned above will be adressed in the form of film screenings, discussion forums and workshops. Each organization will focus on the local context of their respective country, for example by addressing the situation of arrivals and accommodation of refugees in Italy. In Germany as well as in Austria, the negative portrayal of refugees in the public media plays a major role. In the course of the project, short video clips will be produced showing interviews and excerpts of the events. Our branch office borderline-lesvos was founded in cooperation with people and organizations on the Greek island of Lesbos. The two projects Proti Stassi and Support Center Mosaic enable a regular contact with refugees and locals whose perspective will be included in the project. The short videos and documentation produced during BsM project may be used for further anti-discrimination work. Our videoclip of the event 'Perspectives on deportation - What does safety mean to you?' is online. Check it out! In our Youtube playlist you can also find all episodes of our online campaign 'Migration Love Stories'. Our video series ‘Migration Love Stories’ portrays friendships which evolved because one or both friends were moving from one place to the other. Thereby, it does not matter whether the migration story is one of many kilometers of travel across continents or one moving from Madrid to London. What matters is that two persons were able to meet and enrich each other’s lives. 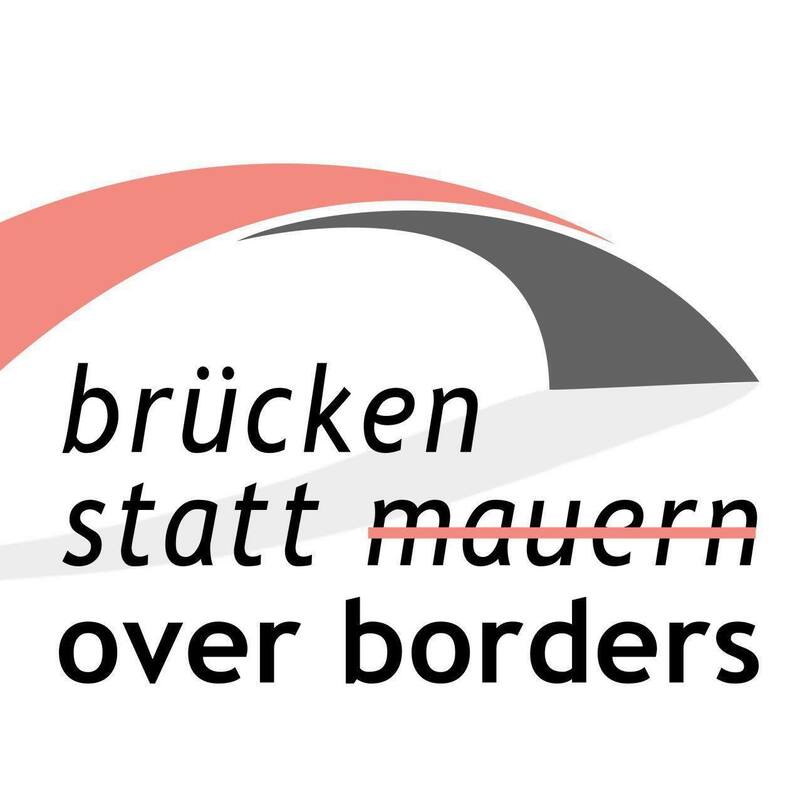 'Bridges instead of walls – strategies against the stigmatisation of refugees' is funded by the 'Europe for Citizens' program of the European Commission. Current information on events and activities of the project can be found on our common Over Borders Facebook page.